Equity Crowdfunding for Investors is a comprehensive, objective, and authoritative guide to the social and financial rewards of crowdfunding. Before now, angel investing – and the spectacular returns possible in this asset class – has been off-limits to all but the wealthiest Americans. Now equity crowdfunding portals allow the general public to buy shares in startups and fast-growing private companies for the first time in generations. This book provides the guidance individuals need to invest wisely, tempering the excitement of leading-edge technology, innovative business models, and exciting new brands with thorough, practical know-how – including investor limits and requirements, portfolio strategy, deal terms, and much more. 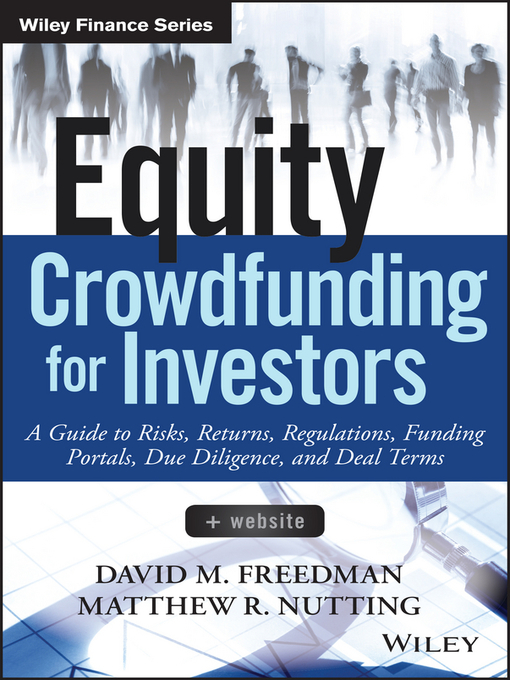 Readers will learn the pros and cons of investing in equity crowdfunding so they can make an informed investment decision, as well as best practices for finding, researching, evaluating, and buying into potentially profitable startups. Digital components include tables, graphs, comparison charts, screen captures, checklists, and other tools that further enable readers to make suitable investment choices. Equity crowdfunding is a new, exciting, and evolving way for growing businesses to raise capital and for average investors to buy equity in those businesses. It has been hailed as a "game changer" in the private capital markets, particularly the angel investment asset class, which includes angel investing. This book shows readers how to take full advantage of this new avenue of investment, without being taken advantage of themselves. Equity crowdfunding can produce huge returns. It also comes with huge risk. Some companies will succeed, but many will fail. Everyday investors can mitigate some risk and increase their chance of profit with the fundamental insight provided in Equity Crowdfunding for Investors.